Carl Packman reviews Richard Murphy’s new book, “The Courageous State”, and finds it to be an ambitious defence of the role of the State in the world today. Crises like this could be seen across Europe, America and in many other places around the world. This was a profoundly shocking wake up call for those who imagined that the economy and the way in which it operated, could last forever – that neoliberalism was an end of history. So why would Richard Murphy have to write a book with the intention of laying into proponents of neoliberalism today? Hasn’t their house come crashing down? Precisely because this economic method is still very much a consensus in the economic world – from those for whom it is the worst system apart from all the others, to the deluded who will flog a dead horse come what may. Murphy in his volume outlines the thinking behind this theory, noting that a wide shift has taken place where government is seen only as something that gets in the way of market progress – and that this shift has been picked up by governments themselves. When government itself agrees that it should keep “small” and that market forces in themselves are best placed to correct decline and ensure societal stasis, then really we all ought to be concerned. To the contrary, governments who cede that humans, albeit not without their faults and propensity to error, are better placed than markets to regulate and modify the economic playing field, so as to ensure the good life be based upon need and not ability to pay, are what practitioners of what Murphy has dubbed “the courageous state”. Government for Murphy has an established role, and through thick and thin is not meant to sit on the sidelines allowing other hands, invisible or not, to pick up where it is traditionally duty bound to put in the legwork. As he points out government has a moral obligation to raise taxes in order to mitigate against the loss or shortage of the majority of people’s assets, and after all a tax is “a claim on property by government”. The case is made with aplomb that there is duty and obligation on the part of government, particularly as there is no evidence to suggest a smaller state can be a source of help for the majority of a country’s inhabitants or ensure they don’t fall off the radar (that is if there is a radar for an inhabitant to fall off). He rightly notes that no functioning society has ever existed without a government but he tends not to tread too deeply into the legal territory of why government has such a claim on property as to be duty bound to raise taxes from it. I, myself, am not inclined to disagree with the conclusion that is raised, but I am curious as to whether this matter-of-fact method of argumentation will convince his critics. What is notable about the volume is the language used. Notions of courage and cowardice rather remind me of biblical tales where one has the courage to speak the word of God without fear as opposed to the cowardice which is punished with fire and brimstone in Revelation 21:8. Here such language is used to symbolise responsibility. Since, for Murphy, government has a responsibility to ensure societal good to best of its ability, any hint of shirking from this responsibility is intensely wrong. In ethical terms – which the author is no stranger to – if government denies a person of their potential they are committing wrong for which nobody else can be blamed. This is very interesting since seldom before has somebody like, lets say, Thatcher been called cowardly. Not many people who have observed or lived through Thatcher’s rule, friend or foe, could say she wasn’t pro-actively for the shrinkage of the welfare state in order that the deregulation of the financial sector (or the big bang). However as Murphy would rightly contest, Thatcher was perhaps in the wrong career since government is more than just a sitting group that facilitates the freedom of the market with its trickled-down leftovers – and she, with many others, just could not understand this. Murphy hasn’t just written a book describing his pet hates about neoliberalism – he has carefully spelt out what facets are needed in order for the state to become more courageous. On basic matters he reminds us that the real drive towards efficiency and cohesion in a society, particularly in its public services, is hindered by competition rather than being helped along the way by it. Instead trust and cooperation are far better remedies. Matters where he really comes into his own is on how the state can hold the predatory market at arms length – rather than being at its beck and call. Splitting the banks and reversing Thatcher’s big bang, halting tax relief on excessive incomes drawn from speculation, country by country reporting to reduce use of tax havens and government creating its own money feature very highly towards Murphy’s key demands to add a dose of needed courage to our elected representatives. Murphy is not naïve to how big his demands are, and how optimistic one would have to be in order to see those ideas come to fruition. He admits that a whole generation of economists have been raised on neoliberal economics, and that the Golden Age has long passed. But that is not to say that a Keynesian return cannot help our situation. Since Thatcher, political parties have been superficially different while economically they crowd around a neoliberal consensus, namely that human judgement is imbued with too much error, so much so that markets are trusted to mend whole societies. Loans to fund anything from houses to businesses to consumer goods to getting by at the end of the month are dealt out by those with assets and wealth. They have cash deposits and are in full knowledge that transactions will remain incomplete. They get richer – without benefit to the real economy – and the poor get poorer. Why do we allow it? Murphy for one doesn’t know. The courageous state is nothing if not ambitious, and packed full of real policy recommendations that, if stuck to, could bring about fundamental change. 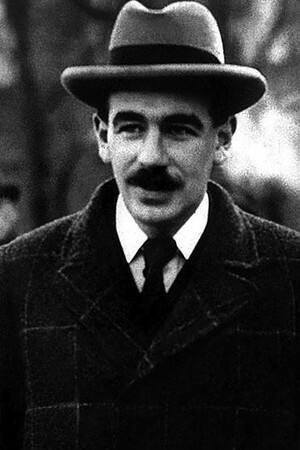 At a time when Keynes is being discussed again with sincerity, inside the Labour party at least, it is good time that a student of his should deliver a shot at the dignity of the economic consensus – and the shallow ground on which it occupies. This book will no doubt have significant impact if the right ears are allowed to open near it. There’s no doubt the book is full of ideas – loadsof them. Some are interesting and viable, others completely impracticable. However, unfortunately it is quite poorly written/ The first two chapters are pretty empty, with a lot of lightweight analysis and vacuous commentary. The last part is where the book really gets going.